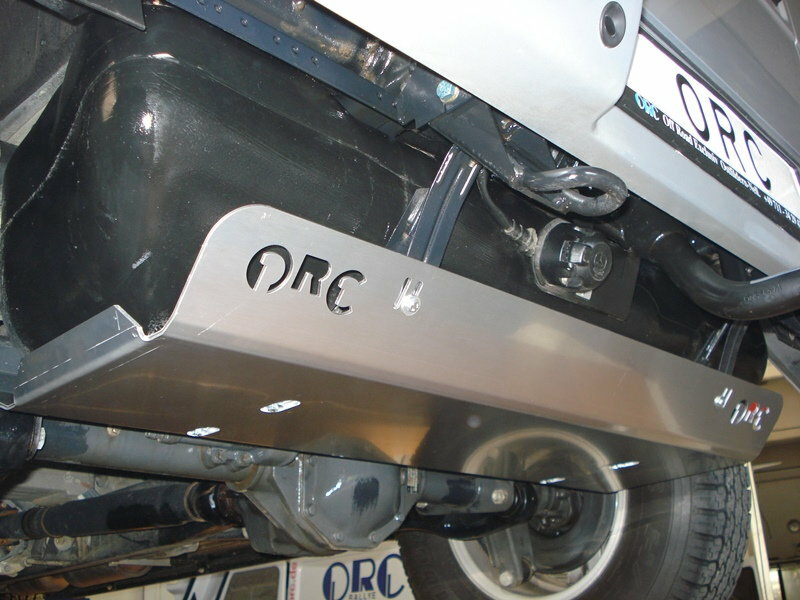 Mercedes G-Class fuel tank protection plate made in Germany by Offroad Center (ORC). Will fit all Mercedes G-Class W463 trucks from 1990 to 2008 up to VIN number 179445 (G500/550 and G55). I done messed up and ordered a fuel tank protection skid plate from ORC in Germany, and now find out it's not really a useful addition to my G. This will fit any G with a plastic fuel tank up 'til the 2012 model, but after 2008, Mercedes reinforced the fuel tank protection on the G. So putting this on my 2012 doesn't really make sense and doesn't gain me anything. So, For Sale: Never used, but not in original packaging - heavy duty protection plate made from 6.2mm thick aluminum. This will protect your plastic fuel tank, depending on your year truck you may need to order an additional mounting kit (if you don't have the steel tank straps it attaches to, as seen in the picture below). Includes ORC mounting hardware (6 bolts and washers). Also if for some reason you have a W460/461 with steel tank this will fit, BUT you have to do some modification with the mounting kit. Asking $500, free domestic shipping. Last edited by Limey Hooligan; 04-07-2019 at 03:53 PM.